As usual here are the SaudiMac posts for the month of July 2010.
â€¢ Apple reports $3.25 billion profit for Q3 2010.
â€¢ Points and Numbers from Q3 2010 Conference Call. â€¢ Apple updates iMac with faster processors. â€¢ Apple announced 27-inch LED Cinema Display. â€¢ Apple releases the Magic Trackpad. â€¢ 250 million downloads from iTunes U.
â€¢ New Apple Store in Paris opens. â€¢ Curtain Removed over Shanghai Apple Store. â€¢ iPhone 4 will be sold in Saudi Arabia by STC and Mobily. â€¢ Four new FaceTime ads. â€¢ Apple recalls flawed 2008 Time Capsules. â€¢ Video: Shanghai Apple Store opening. â€¢ iOS 4.0.1 does not fix iPhone 4 reception issues. â€¢ Apple sold 3 million iPhone 4 units in 3 weeks. â€¢ Apple donates MacPaint source code to Computer History Museum. â€¢ Mobily releases Multiple SIM cards service. â€¢ Countries selling unlocked iPhone 4 and their prices. â€¢ Camera+: Editing Photos on iPhone 4.
â€¢ How to: Buy an iPhone 4 from Apple UK using Aramex. â€¢ App Scammer Alert: Gulf Apps. â€¢ eSkyGuide: Travel Info at Your Fingertips. â€¢ How to downgrade iPhone 3G to iOS 3.1.3.
â€¢ Saudi Telecom Company iPhone App. â€¢ STC App gone from the App Store. â€¢ MobileMe iDisk for iOS 4 and iPad. â€¢ Apple MobileMe Calendar Beta. â€¢ iPad 3.2.1 Update released. â€¢ iOS 4.0.1 update for iPhone changes signal strength formula. â€¢ Firefox Home App released, not in Saudi Store. â€¢ iBooks 1.1.1 supports audio and video. â€¢ Updates: Mac OS X Server 10.6.4 Update v.1.1 and Wiki Server. â€¢ Safari 5.0.1 enables Extensions. â€¢ Apple opens Safari Extensions Gallery. â€¢ Max OS X 10.6.4 Update for new iMacs. â€¢ Magic Trackpad for Windows. â€¢ Apple releases Magic Trackpad and Multi-Touch Trackpad Update 1.
â€¢ Apple addresses iPhone 4 reception issues. â€¢ Video: Weak signal in Nokia and HTC phones. â€¢ Video: iPhone 4 signal strength with STC. â€¢ Video: Apple iPhone 4 Press Conference. 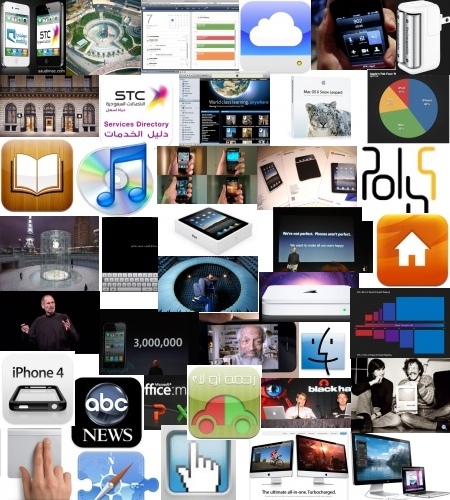 â€¢ Notes from the Apple iPhone 4 Press Conference. â€¢ Apple begins refunding iPhone 4 bumpers. â€¢ Free iPhone 4 cases from Apple using an App.